Successfully Added Mini Lighter Camera to your Shopping Cart. 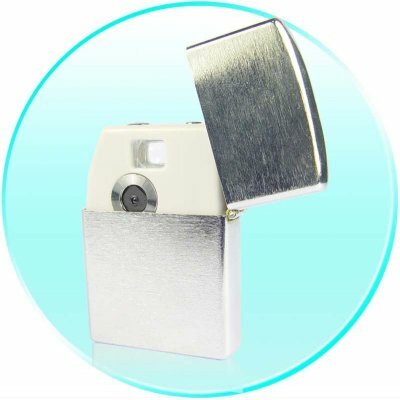 Cigarette lighter style disguised mini digital camera: hi-tech gadget from China. Even James Bond won't notice that this discreet smart metal lighter is actually a digital camera capable of holding more then 100 pictures. Just flip your lighter, turn it on, take a picture and close the case. Solid metallic body and USB cables supplied in retail packaging.. Available in single item sample orders.